A tire pressure gauge is designed to check the air pressure inside the tires on a vehicle. Correct tire pressure is essential for correct vehicle operation and can improve mileage and performance as well. A tire gauge is constructed with a small diaphragm that is attached to a measurement device. The style of gauge can vary from digital to internal slide. A tire gauge is accurate to +/- 3 PSI, however it is possible to buy more advanced models that are capable of determining the pressure to as closely as +/- 1 PSI. Some vehicles are designed with a built in tire pressure sensors. These sensors are used to monitor the air pressure in all tires. If a tire has low air pressure the vehicle will illuminate a warning light on the dash. Occasionally the monitoring system will need recalibration; this procedure is different for every car. Consult an online repair manual for your specific instructions. To use a tire gauge, remove the protective dust cap from the tire's valve stem, then insert the tire gauge and press firmly. The gauge will read the pressure inside the tire, add air as needed and recheck. Pressure readings will differ due to change in temperature. Example: If tire pressure is 30 pounds @ 60 degrees it would be about 35 pounds @ 90 degrees, about 5 pound for every 30 degrees. This is a rough estimate because the volume of the tire determines the actual variance amount. Store the tire gauge in a cool, dry place. To determine the proper amount of air pressure for a particular tire, consult the sidewall of the tire. Avoid dropping the air gauge; this can cause internal damage that could affect the accuracy. Most gauges do not need calibration but higher quality gauges can have a calibration kit included. You can reduce the maintenance and repair of your vehicle by checking the tire pressure regularly. 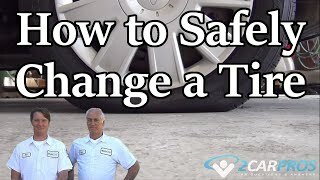 Proper tire pressure will help tires last longer and help the gas mileage of the vehicle. If further assistance is needed, our certified car repair technicians are ready to answer your car questions.